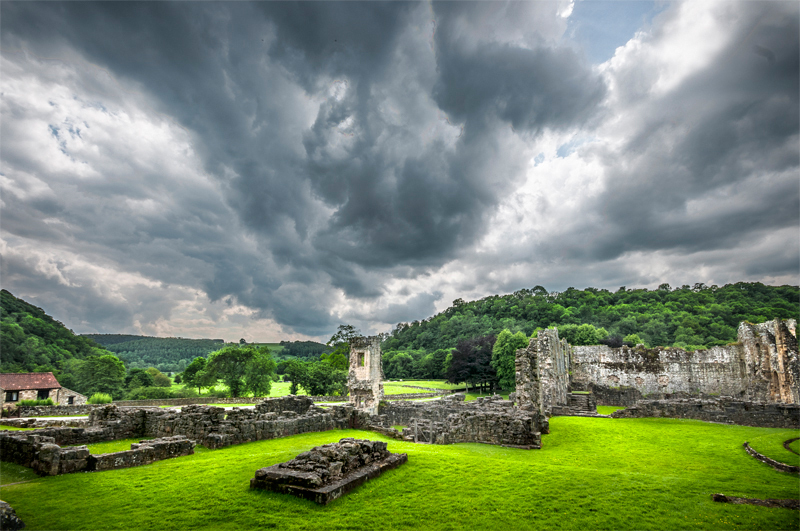 This is a view of a part of Rievaulx looking south (ish), it’s a place I like to re-visit often. I had been enjoying a reasonably sunny day to this point, and then the weather rolled into the valley from the south and this was the last shot of the afternoon. It is a candidate for mono conversion at some point but I like this colour version too.